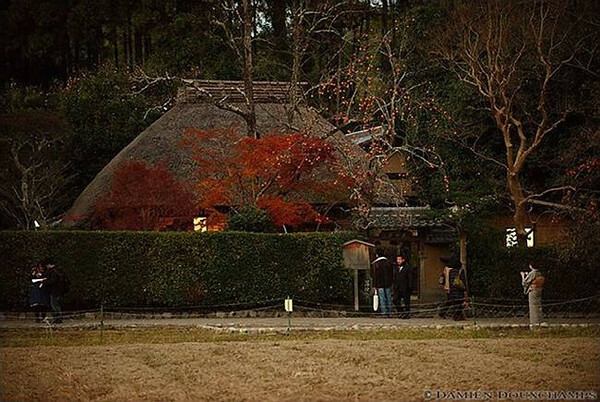 This quaint hermit’s cottage was once the home of one of haiku master Matsuo Basho’s disciples. It’s a good palate cleanser between the area temples. If you’ve got a taste for rustic simplicity, you’ll love Rakushisha, a thatched-roof hut that housed one of Matsuo Basho’s poetic disciples (it’s said that the master stopped by here on occasion, but he did not live here, contrary to popular belief). The admission is a mere snip at Y200, but you can get a good sense of the place by merely looking from outside the fence, which costs nothing. Rakushisha Poet’s Hut is located in Kyoto’s Arashiyama district. See our complete list of things to do in Kyoto’s Arashiyama district, including places to eat, nightlife and places to stay.